How Does Your Wine Club Work? Although there’s cheap wine, wine drinking can’t be said to be a cheap taste. If you’re a wine enthusiast, it’s easy to go into a liquor store and somehow come out several hundred dollars poorer. On the other hand, if you’re a novice wine drinker, you might worry that you’re wasting your money on an average bottle of wine that’s just been dressed up with a fancy label and a higher price tag. Wine clubs can be very tempting for both expert and newbie wine drinkers. One of the big issues though is the cost of wine clubs. It can be very hard to be clear about what you’re paying for and whether or not you’re getting your money’s worth. Here’s the inside information on how much the best wine clubs cost—and whether the cost is justified. You might be used to thinking of a club as something that charges a membership fee, but that’s not the case for most wine clubs. Generally speaking, you just pay the stated price per shipment for your wines, plus shipping (more about that below). Most clubs charge you a fixed price per shipment, like the HelloFresh Wine Club. Each shipment brings you 6 bottles of wine—either reds, whites, or a combination of both—for a fixed price of $89. It doesn’t matter how much you’d pay for that bottle of wine in the store—the wine club shipment price is fixed. This way, you always know what you’re paying. It’s an approach that can save you a lot of money. Firstleaf Wine Club also has a fixed shipment price of $79.95 for each box of 6 bottles. You might be drinking a wine worth $30, but you’ve scored it for just $13. California Wine Club members pay up to 50% off the recommended retail price on their bottles. That’s because these clubs cut out the middleman to lower the cost. One wine club that operates in an unusual way is Naked Wines. Naked Wines Club members—called Angels—invest $40 each month. This money goes directly to Naked Wines’ partner winemakers. Angels then get to use their $40 as a form of credit, to buy as many bottles as they’d like each month. Naked Wines customers pay the regular shelf price, but Angels get a discount of 40%-60% on every bottle. It’s not surprising that the cost of a wine club depends on what you’re getting. There is a whole variety of wine clubs out there. Some of them are targeted at expert wine drinkers who want to enjoy exclusive, high-end wines that aren’t easily available in the stores. These clubs, like the California Wine Club’s Aged Cabernet series, specialize in premium bottles. At $231 per shipment, this club costs a lot more than the same company’s Premier series price of $40.45 per shipment. Other wine clubs are based on exclusivity and even celebrity status. Nocking Point sells exclusive wines that can't be bought anywhere else. 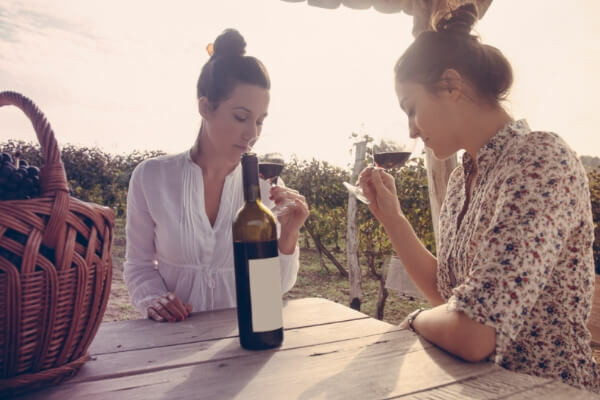 These wines are produced only for Nocking Point and are frequently developed by celebrity “tastemakers.” Nocking Point Wine club members get early access to these celebrity wines, as well as bragging rights for being part of an exclusive, celeb-founded club. The California Wine Club focuses on wines made by small family wineries that rarely make it to your local store. In many wine clubs, you’re also paying for expert advice. Beginner wine drinkers who aren’t sure what they like to drink or how to “rate” wines get more guidance, support, and information from a wine club than they’d get in a store. Sure, you might be able to get wines cheaper than the $13 a bottle you’d pay through Winc, but would they also be tailored to your taste profile and come with information about the wine’s backstory? Firstleaf Wine Club members get wines that are recommended by a Master of Wine, and there are only 380 of those in the country. Don’t overlook the convenience of getting your wine delivered straight to your door. A case of 6 isn’t so easy to carry home from the store. Many wine clubs, including HelloFresh and Winc, offer free shipping. Yay! Others charge for shipping, with costs ranging from the California Wine Club’s $1 ground shipping offer, to $40+ if you want your wines FedExed overnight. You might be wondering if you really drink enough wine to make wine club membership worth it. Most wine clubs let you choose your delivery frequency. Nocking Point offers monthly and quarterly wine clubs. California Wine Club and Gold Medal Wine Club let you choose between monthly, every other month, and quarterly deliveries. With HelloFresh and Winc, you can skip a month whenever you like. So, there’s no need to fear paying for more wine than you can drink (not that that’s something to be scared of). Some wine clubs sell wines to non-members through their website, but wine club members get discounted prices. This gives you a chance to compare the price of your wine club bottles with the price you’d expect to pay in the store. Gold Medal Wine Club members get varying discounts on all wines that they buy from the club site. Naked Wines, as mentioned above, has huge savings of 40%-60% for its Angels. Winc offers members 10% savings on wines bought through the site. Nocking Point Wine Club members get money off other Nocking Point products, like artisanal coffee and T-shirts. Some wine clubs offer you a bigger discount if you pay upfront for a longer subscription. Gold Medal Wine Club takes over $50 off your final price if you commit to 12 shipments. There’s no single answer to the question “How much do wine clubs cost?” Sometimes, you’ll pay more than you’d pay in a store or a restaurant because you're also paying for expert advice, exclusivity, premium wines, and the convenience of delivery. Sometimes, happily, you'll pay less for your wine, because the wine club cuts out the middleman. Ultimately, only you can decide if the wine that you’re paying for is worth the cost. Cheers!